So, everybody knows Christmas is coming up. Whether we like it or not. Personally, I can't wait for Christmas. It is one of those rare times of year that my whole family is all together in one place and we can just have fun. Christmas has to be, hands down, my favourite holiday. Not just because of the presents, but they have something to do with it. I feel amazing every Christmas morning, seeing the wide smiles on my little cousin's faces, and seeing the equally wide smiles on my older relatives. Some of our Christmas traditions I am going to tell you about. Let's start with Christmas Eve. We go over to my grandmother's house at usually about two-thirty. The boys are usually in the basement watching the hockey game, the girls are upstairs preparing dinner, also taking care of kids that filter up and down the stairs, but there is usually a movie going on in the living room for them. Usually the Lion King. We take off our coats, and filter into the house. My dad usually immediately filters to the basement, and my sister Bailee heads wherever my cousin Zachary is. Me and my mom usually stay in the kitchen with the rest of the girls who have arrived, helping out with dinner wherever we can. Our dinner is usually just finger foods. Shrimp, chips, crackers, ect. ect. ect. I usually eat too much, and my stomach doesn't feel the best for the rest of the night. It doesn't ruin it for me, though. Then the kids get to open one present that was picked out. It is always a movie that we get to watch while the adults are playing cards with change that they save up the prior year. Our grandmother, who we call Mama, always buys it for us. Last year, Mama bought us the Christmas Shrek TV special on DVD. I think my dad and uncle enjoyed it more than my cousin Zachary or my cousin Carter (his brother) did! It was awesome, though. My sister usually has the Santa tracker going, so whenever the tracker says it is about Quebec, we start planning to go to bed. We don't go to bed right away, because we are most likely not tired yet. At this time, it is about 11:30-12. I think the best part of Christmas day is waking up, waiting in bed for seven o'clock to roll around. The reason for that is, since we have Christmas at my grandmother's house, she had set up a rule were we can't come down the stairs until seven o'clock. Since I get the privilege of sleeping in her room, I have a huge digital clock on the vanity in her room. So as soon as I open my eyes, I know what time it is. I usually wake up around six thirty, and those thirty minutes are the longest minutes of my whole entire life. But that is only part of the best part. When seven o'clock finally rolls around, all you can hear is a stamped of kids running down the stairs. Since my younger cousins usually get up before that on any other day, they are the only ones who, on some years, get to come down early. But they are not allowed to go downstairs and look. When me and my sister surface, they are immediately allowed to go down stairs and look at the tree and all the presents. Usually some adults are up, so we are allowed to open our stockings. Which, I have to tell you, mine and my sisters are HUGE. I mean HUGE. I love my stocking, though. The stocking items entertain us until the rest of the adults wake up and open up their stockings. Then we get to the big stuff. Since most of the things I ask for are small, and among all the huge gifts that my cousins get, they tend to slip down to the bottom. So I have to wait awhile in the beginning, but by the end I have a huge pile of unopened gifts on my lap, and everybody else is finished, and they are staring at me. Then we stay until after supper, than leave with all of our new gifts. These are my family's Christmas traditions, I would love to hear about yours! If you can get it small enough, leave it in the comments, if not, and you have a blog, link me to a post! In my mailbox is a weekly meme hosted by Kristi over at the Story Siren. 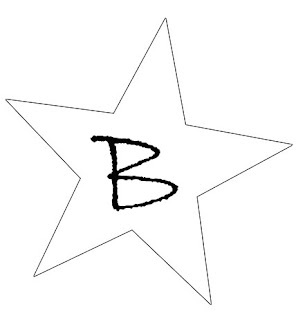 It not only allows you to brag and drool over new books, it also promotes blogger interaction. No books for me! What did you get in your mailbox? One afternoon, single mother Sara Weston says she's going to the store--and never returns. In her absence, she leaves her teenage son alone with his damaged past and a legacy of secrets. 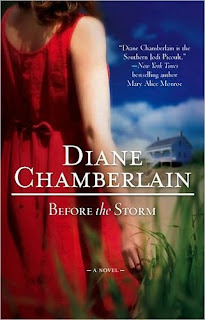 I have reviewed BEFORE THE STORM by Diane Chamberlain on here before, which was borrowed from my mom’s friend. Well, since my mother felt bad since she has kept these books for so long, she told me that I should read SECRETS SHE LEFT BEHIND so she could give it back to her friend. 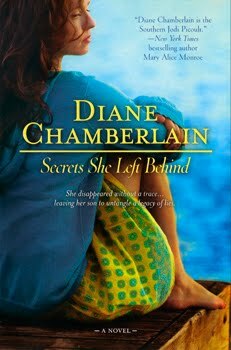 SECRETS SHE LEFT BEHIND was a easy, fast-paced read, just like the previous book. It leaves you hanging with the end every chapter. The cover of this book isn’t my favourite, it is not too bad. I don’t like how you can see her eyes, but it is not as bad as some covers. It could have been better though. I love the plot of this novel, as though I did for the first book. I can’t say too much without spoiling it, but I loved how it finished off a little less than a year after BEFORE THE STORM was set, because it was perfect, and it answered most of my questions about what happened next right in the beginning. This novel is full of like able characters. I am one of the few people who love Maggie to death. In this novel, Andy was by far my favourite character. I couldn’t wait through the whole novel until it went back to Andy’s point of view, because I loved him so much. I felt as if in this novel he grew up so much from the point that he was left off in BEFORE THE STORM. The problem progressed quickly yet slowly enough. In most novels, I don’t like it when it moves very fast, but I love that about Diane’s novels. I love Diane’s writing style to death. It is just so easy and flawless, and you can’t help but love it. I have to say, I am so in love with Topsail Island. I will have to make sure that I get there before I die. I mean, seriously. Diane does the best job ever to describe this beautiful beach paradise. I can see it thoroughly in my mind, and I can just see myself freely walking down the beach and seeing Jamie’s church. Although it probably isn’t actually there. Diane’s novels are defiantly one of my favourites of all time. Everybody needs to read her novels, because you will fall in love with Diane’s world. Cover Creation is a meme that Jessica over at Chapter Chicks made when she was bored for five minutes. I thought it was an amazing idea so I decided to start it too. 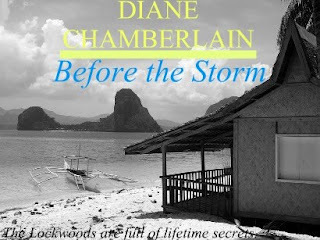 The book I am doing is BEFORE THE STORM by Diane Chamberlain. I recently read the second book in the series, SECRETS SHE LEFT BEHIND, so I decided to do this one. I am so sorry that I haven't been blogging in awhile. Normally I hate when people make posts saying why they were gone, but this feels necessary. School has been stressing me out lately and all I have been wanting to do is sleep. Not a lot of that has been going on at night. Anyways, like I said this post felt necessary. I have a review coming up for you guys, so watch out for that. P.S. Happy American Turkey Day! I wish I was having turkey! In my mailbox is a weekly meme hosted by Kristi over at The Story Siren. It not only allows people to see new books, but it allows blogger interaction. No books for me this week! In my mailbox is a weekly meme hosted by Kristi over at The Story Siren. It allows readers and bloggers to not only show what they got that week but to drool over some new books, too. Sadly, for my mailbox it was a sad, long, and lonely week. I hope next week will be a little better for me! That's it for my in my mailbox this week... what did you get in yours? When Marilla Cuthbert's brother, Matthew, returns home to Green Gables with a chatty redheaded orphan girl, Marilla exclaims, "But we asked for a boy. We have no use for a girl." 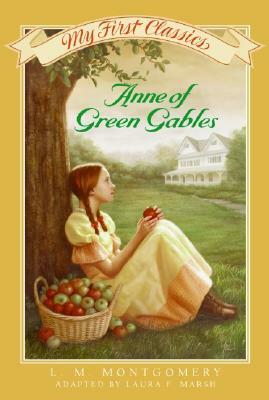 It's not long, though, before the Cuthberts can't imagine how they could ever do without young Anne of Green Gables--but not for the original reasons they sought an orphan. Somewhere between the time Anne "confesses" to losing Marilla's amethyst pin (which she never took) in hopes of being allowed to go to a picnic, and when Anne accidentally dyes her hated carrot-red hair green, Marilla says to Matthew, "One thing's for certain, no house that Anne's in will ever be dull." And no book that she's in will be, either. This book took me forever to grade. This is what I am sticking with, though. I really don’t read classics, but one morning I was in the mood for a classic that everybody said is good, so I slipped it off my sisters book shelf and read. Lucy’s writing style is very plain, my nine year old sister can write better than she can. She barely gives any detail whatsoever, which just brought the book down since it was set in one of the most beautiful provinces in Canada, Prince Edward Island. Although I have never been there myself, I have known people who have and they said it was beautiful. I have also seen pictures and it seems absolutely gorgeous. 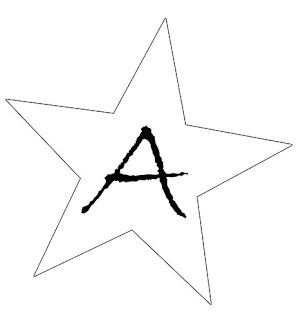 The plot was plain and flat, half of the reason was the writing style. I mean, it really didn’t have that good of a plot to start out with. It was just like she randomly said I want to write something and thought of the character Anne and just wrote random things in a time line. It also seemed to move fast, since Anne went from twelve to an adult in a mere one hundred and seventy-five pages. And that included tons of full page pictures. I really don’t enjoy writing this review. I wish I could say that I loved it and just ramble on and on, just stating reasons why, because this just seems to be an adored book, but I can’t, because then I would be lying. Sorry for the short review, that is all I can pretty much say about such a short book. My Friend Needs Your Help. More like would love your help. My friend Amber, I have known her since... forever, started a blog recently and she only has three followers, so I would love it if you guys all followed her, I know it would mean the world to her. The link is at the bottom of this post. Tia's Voice: It's Back! And Better Than Ever! That's right, folks. Tia's Voice is back. The reason I stopped doing it is because I couldn't pick a day that was best for me, because my schedule is never the same. So, I am back with a new plan. I am going to try to post a Tia's Voice everyday, but on some days I won't be able to, so try not to get really mad if I don't post one everyday. 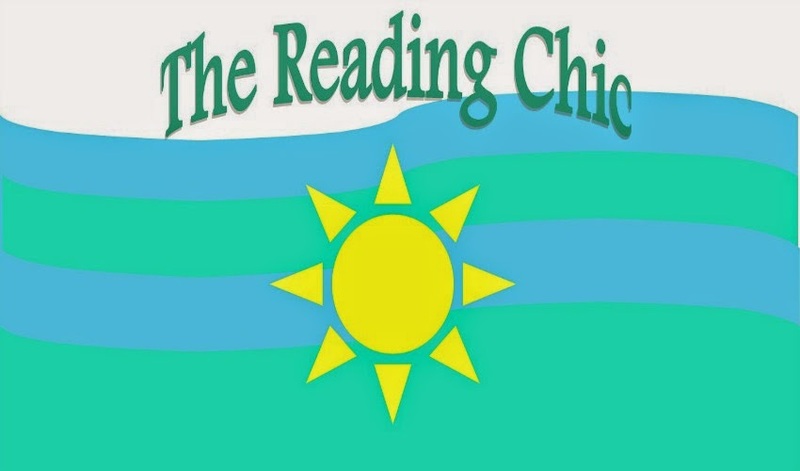 I think this way, it will make my blog more interactive, and I would love if you sent me requests for Tia's Voice posts, so if you have an idea for a post, please don't hesitate to email me at thereadingchic (at) gmail (dot) com. Title the email (in the subject place) Tia's Voice Request, and I will defiantly read it and consider it for a post! Right after I post this little post, I am going right to my first all new Tia's Voice post. Author Interview with Shelley Workinger! Hello, guys! Today I am here with Shelley Workinger, author of SOLID, for a little interview. I recently reviewed Shelley's book... and I loved it! I hope you guys pick it up soon, because you won't regret it! 1. How long did it take you to write Solid? It took 4 months to rough out a semblance of a draft, particularly since I started with Chapter 12, then jumped all over the place. Work shopping and rewrites brought the total time to about 15 months. 2. Where did you come up with the name Calliope? a Mardi Gras parade. And it also happened to be my 21st birthday. 3. 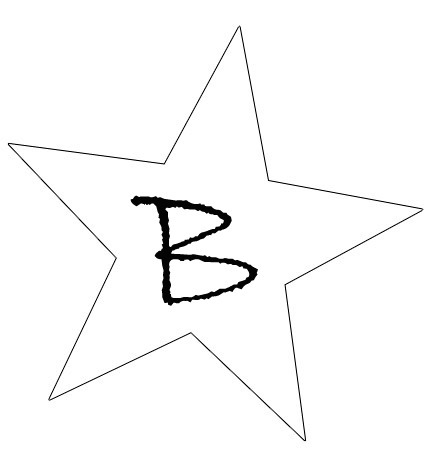 What made you want to be published by Create Space? A friend of mine published through them and had a great experience, she sold me. 4. The plot in Solid is incredible. How did you ever think of such an extraordinary plot? questions like "where are they?" and "why are they there?" until eventually had a storyline. The colour of the sky at night when you can't decided if it's blue or purple or even black. 6. How many books do we expect to see in the Solid series? consider taking the characters farther. 7. At what age did you start writing? 8. Any different projects other than the Solid series that you are working on that you can tell us? 9. When should we expect more books from you? thoughts are already racing ahead to Book 3! also say, "wow, it's like a real book!") Don't let them belittle your effort. Hello, guys! I am here with my 14th In my mailbox. In my mailbox is a weekly meme hosted by the Story Siren, a book blogger whom I am sure we, other book bloggers, all look up to. I love in my mailbox... how about you? That is all for me this week... what did you get in your mailbox? Eighteen years ago, a rogue Army doctor secretly experimented with a chromosomal drug on unknowing pregnant women. When he was killed not long after the children were born, any knowledge and evidence seemed to die with him - except for the living, breathing, human products of his work. I would have probably never picked up SOLID by Shelley Workinger if it hadn’t been for her sending the book for me to review a little while ago. The funny thing was, I had been wanting to read a self-published book for awhile now, but I have never had the chance because I don’t order books off of Amazon, I knew that I would probably wouldn’t read an indie book for awhile. Then Shelley, who I must say is a complete dear, contacted me through email asking if I would review her book. How could I say no? I am super glad this book was good. I was worried that if this book wasn’t good, that I would feel super bad writing a bad review. Well, I am here with a god review. I know I say this about a lot of books, but this novel’s plot amazed me. I have no idea how this woman came up with this amazing idea for a novel. I mean… I would never in a million years imagine writing a book about kids whose mothers were used for a drug testing almost two decades before. I mean… only special people have the mind to create a novel like that. I can say that I honestly do like the cover of this novel. I think it fit’s the story very nicely, without giving too much away. I think a lot of doctors, nurses, and scientists will pick up this novel just because of the cover. I loved Shelley’s writing style, because for a novel with this heavy of a subject, I think she did a marvellous job bringing down the intensity of it by putting in a nice, light writing style. I think the whole idea of the kids being in the academy was total genius. Although I would have liked to have seen more of the whole learning about the drug that this doctor planted on these kid’s parents, I think that will come out more in the second book in the series, Settling I think it is called, so I can’t wait to see more of that. I think this novel is a good novel to read if you don’t want to read a book that is as large as say Twilight or Harry Potter are. Because I honestly think that for a book that is as good as it is, I don’t think it will get the full attention that is truly deserves. 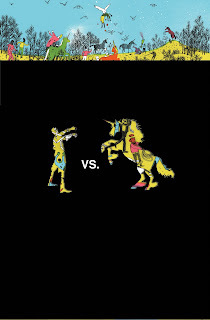 This novel was amazing, so when are you going to pull up Amazon to order it? I am just posting today to give exciting news... I was featured on Diane Chamberlain's blog! As most of you may know, I did a review and an author interview with her on my blog, and she featured me on hers! I'll leave a link to it at the bottom.